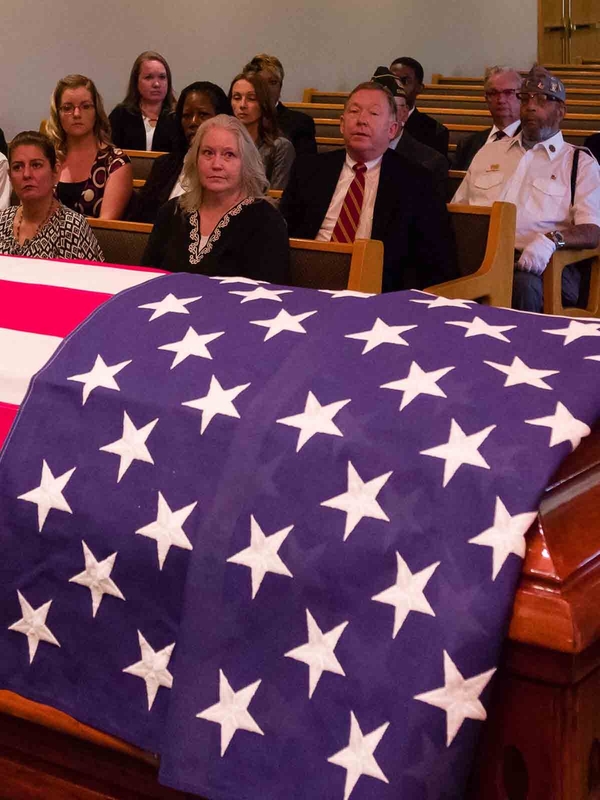 During a veteran’s final service, the U.S. flag drapes the casket, providing a moving, historical tribute, in a solemn moment of military ritual that honors a life of service. 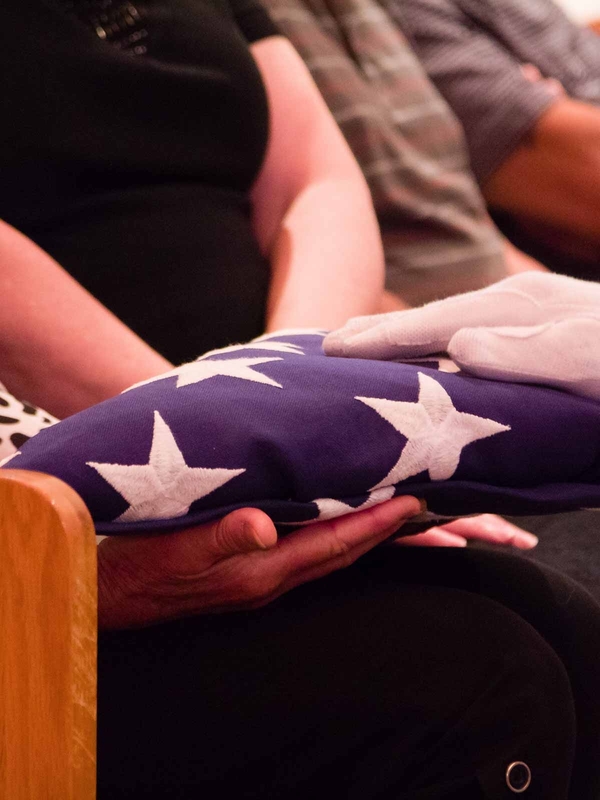 There’s no more powerful symbol than the American Flag for veterans and their families, that’s why our staff is highly trained in the appropriate handling of the American Flag. Our veterans live a life of dedication, with a willingness to make the ultimate sacrifice for the love of our great nation, and displaying the flag is one important piece of a service that honors that love of country and dedication to freedom. 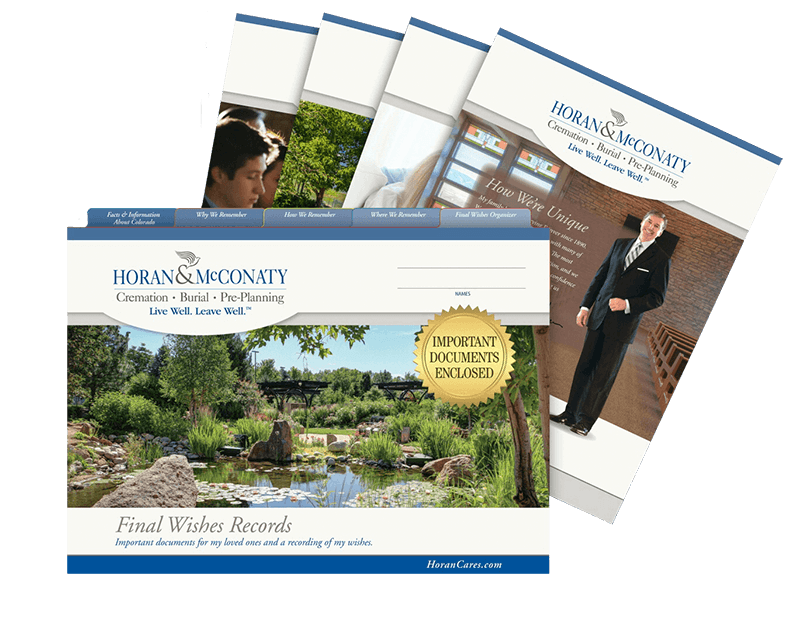 At Horan and McConaty, we take great care to ensure that all moments involving the American Flag are executed with the utmost dignity and respect, displaying the flag with the solemnity. 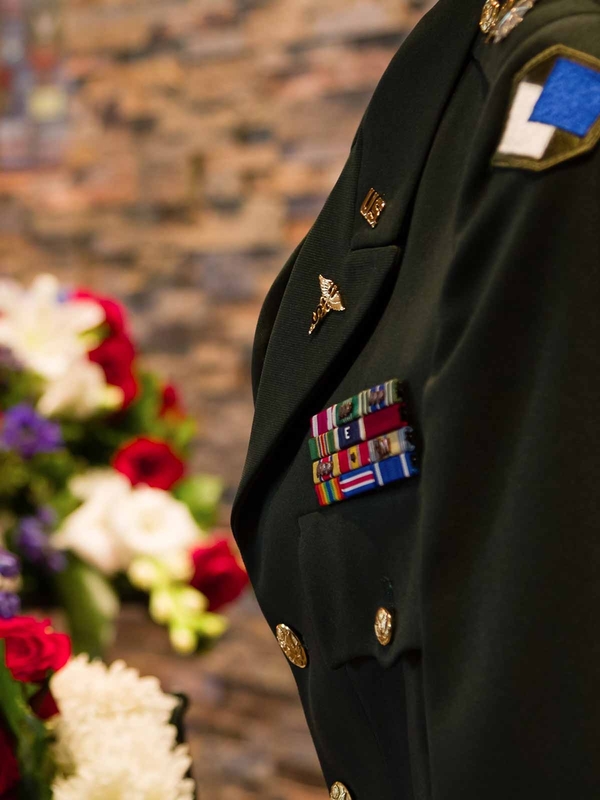 Providing funerals with full military honors to those who have lived a life of service, our staff is well-versed in military regulation, ritual and tradition. 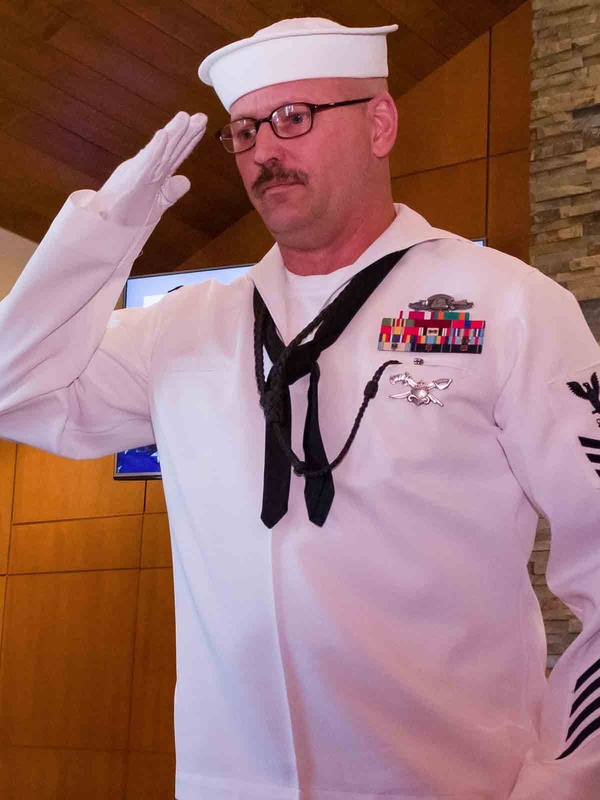 Our offerings for veterans’ services include an honor guard, tolling of the Honor Bell, a gun salute, and other traditions that provide the deference due to a dedicated and patriotic hero. One thousand pounds and forged in bronze, our Honor Bell was created by veterans and funded by donations. During the casting, artifacts from those who have served were added to the molten bronze, representing past, present, and future veterans. Guarded and tolled by the Bell Honor Guard, the bell may be rung for any veteran’s service at the cemetery, church or chapel, and then silenced until the next Honors. Its resonant tolling provides a solemn moment that mourners long remember as a final tribute. 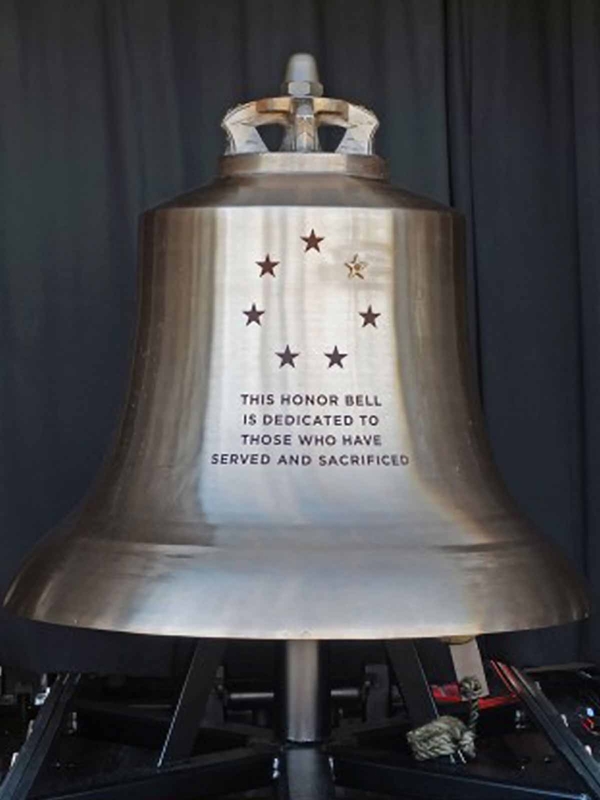 Read more about the Honor Bell. 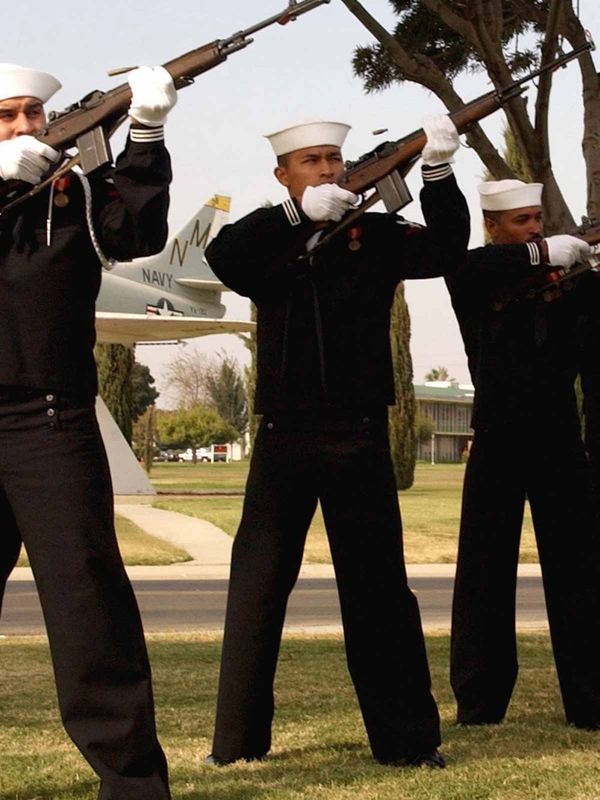 Often referred to as a “21-gun salute,” three volleys are fired from rifles. (A rifle is not a “gun” in military terms.) Each member of the team fires three volleys in solemn tribute to any soldier, including honorably discharged, retired, or active duty. The flag is always draped on the casket of a deceased veteran with the field of blue at the head and over the left shoulder. The service concludes with the playing of “Taps,” while veterans in the Honor Guard expertly fold the flag in the symbolic tricorn shape and then present it to the next of kin. The solemn reverence displayed during the ceremony allows all time to reflect on the significance of a life of service. The uniform that was so proudly worn, emblazoned with the insignia earned through years of dedication to duty, speaks to the life of one committed to liberty and freedom. 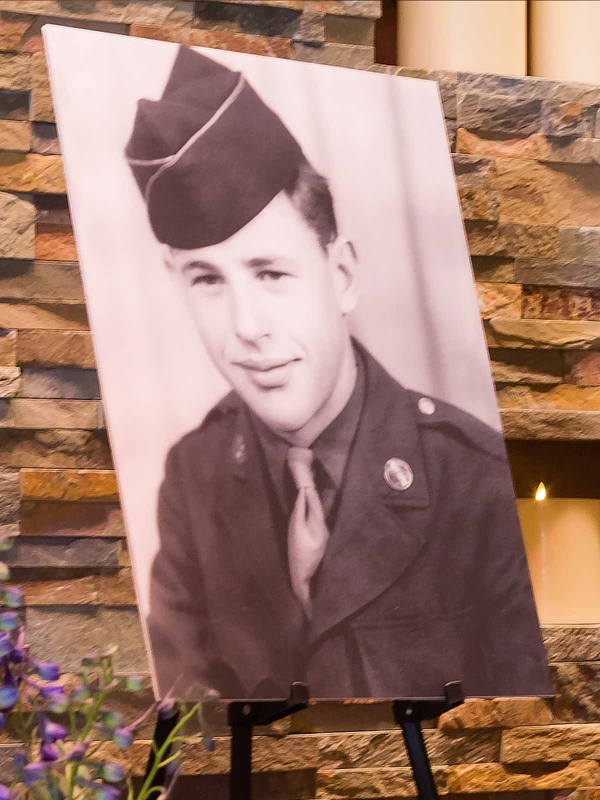 We take special care to ensure that a veteran’s uniform is displayed properly and proudly—the way it’s meant to be seen—so that families take pride in the symbol of their loved one’s sacrifice and commitment to honorable service. 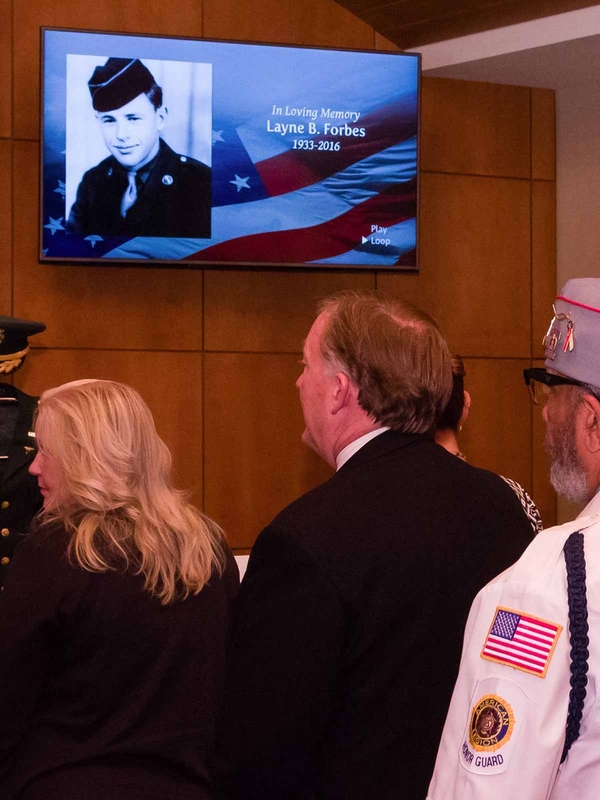 Families may have a video tribute displayed before, after or during the service. Using up to 20 photos provided by the family, we create a moving tribute on DVD that they take home as a keepsake to treasure. We encourage families to bring photographs for enlargement and other memorabilia that help mourners say goodbye while recalling happy moments of a purposeful life.